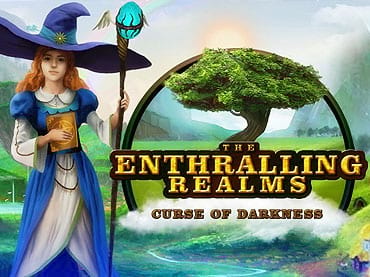 The Enthralling Realms: Curse of Darkness is challenging match-3 game. If you like this free game, try Runefall. Halfling Village was once a peaceful place, but tragedy struck when a halfling named Ebbo found a magical artifact. Unintentionally plunging the village into a terrible war, Ebbo be came hated and despised by his friends and neighbours. Now the war is over, but the village still blames Ebbo. Determined to help the suffering halflings, he partners with a witch named Alice to restore the village and drive away the darkness around it. - Meet a charming cast of fantastical characters. If you have questions about The Enthralling Realms: Curse of Darkness game, please contact us using this form.